As the world became aware of the unprecedented destruction Hurricane Harvey delivered to the Houston area, a different thought began to develop at CTSI. The men and women of the Houston Police and Fire Departments were entering their 3rd straight day of serving and protecting. Back breaking work while wearing fully soaked uniforms, equipment belts and protective gear. Many worked until they collapsed or were ordered to take a short four hour break at the station. It was estimated that nearly a thousand first responders lost their own homes to Hurricane Harvey’s destruction. Everything they've ever possessed, simply obliterated. With cellular service completely interrupted, many continued to serve, uncertain as to true well-being of their own family members. This is the very definition of devotion. 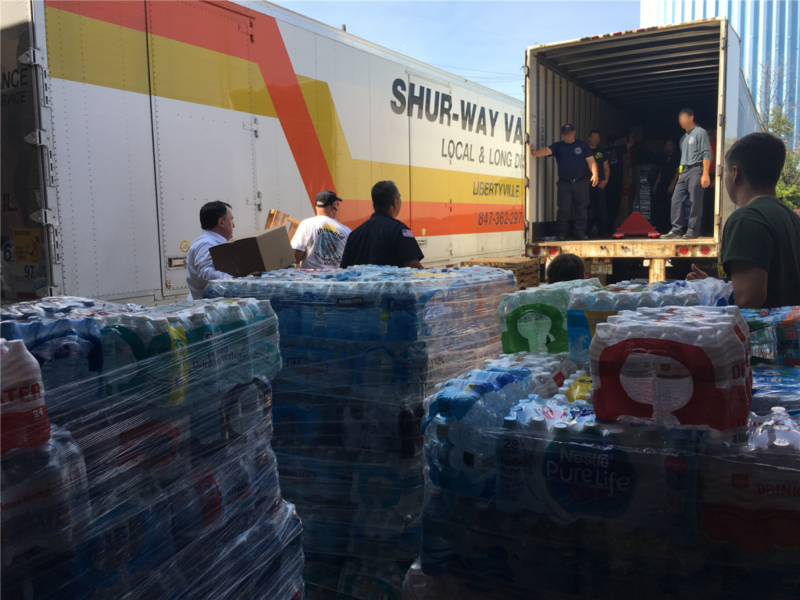 Working with one of the many public safety agencies CTSI serves, a collaboration began to provide supplies for the first responders and their families. The collection ranged from ready to eat foods to toiletries to bottled water. Using social media, CTSI reached out to friends and neighbors within the area. While the initial focus was on items that could be carried in a uniform pocket or patrol vehicle, clearly the community had other thoughts. “We were initially working with a transportation carrier to ship items to the Houston area”, said Peters, President at CTSI. Within the first 24 hours “we joined forces with another public safety agency collecting enough supplies to fill three full semi-trailers.” By the end of the forth collection day, the number of semi-trailers had grown to six total. “We started putting this together and it exploded” said Peters in a recent interview. Working with volunteers at the Downers Grove based CTSI warehouse “eighteen hour days” to ensure every package was “sorted, boxed and labeled” to expedite distribution to our “brothers and sisters” said Peters.